The Wireless Laser Mouse 7000 is a new rechargeable desktop mouse from Microsoft which is simple, ergonomic, and stylish. 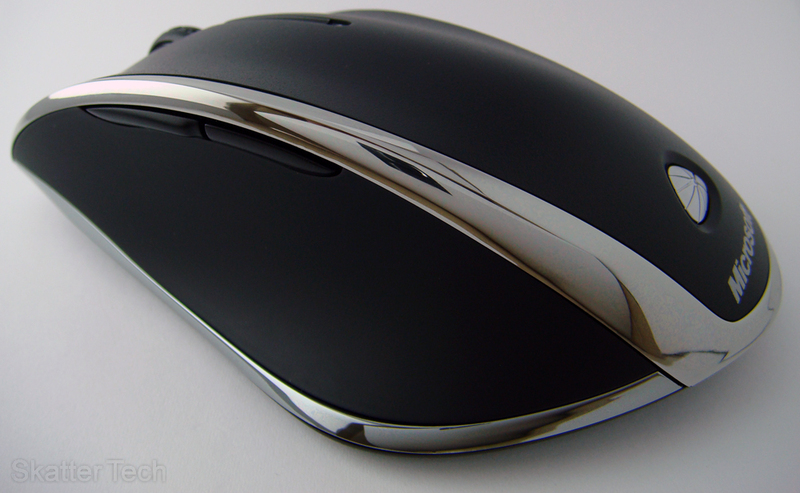 The mouse is lightweight, good looking, easy to setup, and comfortable to use. For a full-sized desktop mouse, I was partially disappointed to see how few buttons the mouse had. Other than the left/right click buttons the Wireless Laser Mouse 7000 only had a scroll wheel, which also functioned as a middle click, and a back/forward browser navigation buttons on the left side. 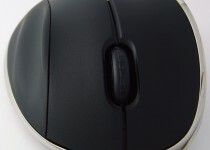 The scroll wheel had no friction (no clicks) which made it slightly difficult to use with certain applications. It would have been nice if it had a switch to enable or disable the “notches” like some of the Logitech mice do. Clicking in the scroll wheel to perform a middle-click took some getting used to since I kept accidentally scrolling instead. And finally the back and forward buttons were placed high up making them hard to reach, however it wasn’t an issue after a day or two of use. I do wish they could have thrown at least a few more controls onto the mouse for faster navigation. And finally the two most important buttons, left and right click, were easy to reach, however were a bit too soft and were unusually squeaky. The mouse made up for its lack of buttons with its accuracy. The “High Definition Laser Technology” seems to be working since the movements were almost pinpoint accurate. Despite the mouse being wireless, as long as I was within 20 feet of the receiver (same room) I didn’t experience any hiccups. There are other wireless mouse that offer more sensitive lasers, however I found the Wireless Laser 7000 Mouse to be more than enough for any task I was performing on my machine which includes using Adobe Photoshop. Although I didn’t take off any points since this isn’t suppose to be a traveling mouse, I felt the transmitter could have been a bit smaller like those included with newer mice. 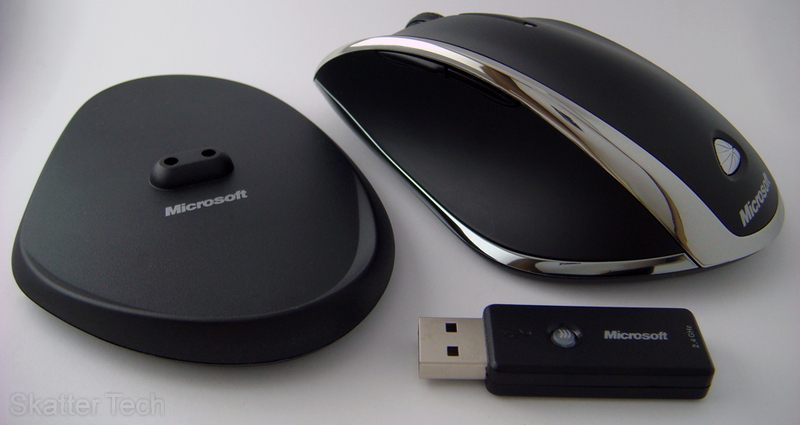 Microsoft’s mouse uses a single AAA NiMH 1000mAH battery to power itself. I didn’t try to use the mouse until the battery died, however I was able to go through at least 3 days without an issue. To recharge the mouse, just place it on the included AC powered dock. (Microsoft recommends charging it for 7 hours to reach a full charge.) The other neat fact might just be that, if you do happen to take this mouse with you and forget to bring the charger dock, you can just pop in a standard AAA battery temporarily. The Wireless 7000 Mouse worked instantly when the USB adapter was plugged in without any additional software on Windows XP/Vista, Mac OS X Leopard, and Linux Ubuntu. If found that everything function just fine on all the operating systems, however the back and forward navigation buttons failed to do anything on Ubuntu and Leopard. If the included Microsoft IntelliPoint software is installed for Windowsor OS X, the mouse’s buttons can be truly customized to do stuff like launching the 3D Flip or Exposé. Overall Microsoft’s Wireless Laser Mouse 700 is a success and I felt comfortable using it within a day. The setup up process was easy as just plugging the adapter in for me, however Leopard users may have to install additional software. 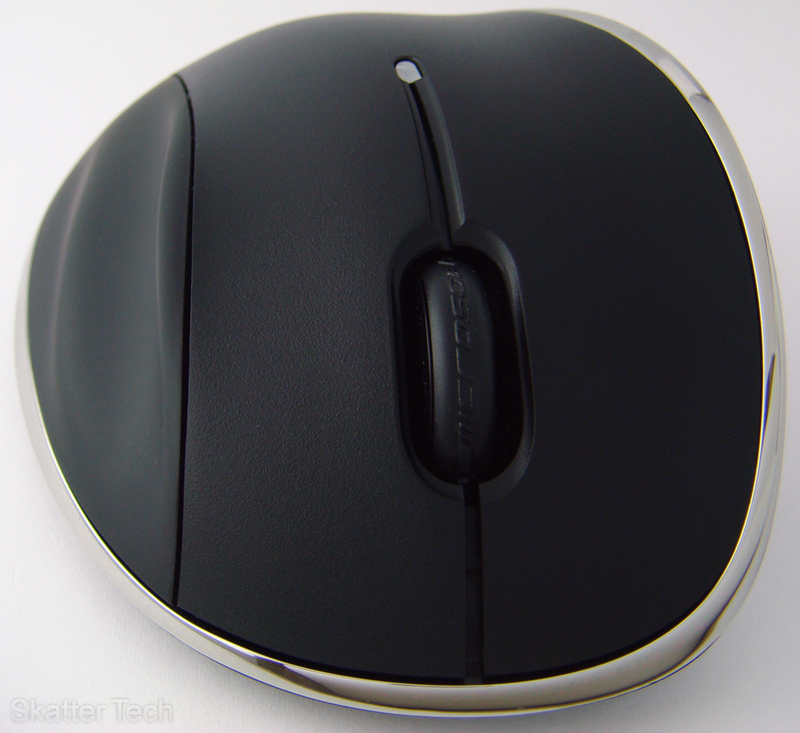 This mouse is bad news for left-handed consumers since it has been specifically shaped for the right hand. Finally other than the mouse’s build quality seeming a bit poor, everything else met my expectations. The mouse became available for purchase just last month and the MSRP is $69.99, however you should be able to find it for around $60 if you shop around. I purchased a Microsoft Wirelss Coptial Desktop 700 set today. The keyboard works fine but the mouse does not work at all even tho it lights up. WZhat do you suggest I try doing before I return the unit to the store? Hold down the CTRL key, then scroll forwards or backwards on the mouse. Watch your screen zoom into action and back again! Hope it helps!! Hi I purchased a microsoft wireless mouse 7000 The problem is that when battery die and I put on chargeable dock overnight to charge. It does not fully charge my mouse and My mouse goes on low battery within 2-4 hrs later. If this helps when I put mouse on charge dock it blinks green then it goes on red light. Please help me understand what going on. I have got wireless 7000 mouse but it isn’t charging. There is a problem over this mouse! I bought a notebook wireless 7000 3 days ago.It uses non rechargeable battery. Said to have 6 months battery life.in 3 days of maybe two hours a day, the battery light came on.A warning poped up on my screen telling me to change my battery.This mouse is going to be espensive to use. something is definitely wrong with your unit. or the included batteries might have been defective. on average I use a computer for at least 6 hours a day and the battery in the mouse didn’t even take a dent after a week or two of use. i suggest trying another battery. if it is still the same problem, try exchanging your unit for another. it might solve the problem! I’ve been using the Wireless 7000 for quite a while now and I haven’t experienced any trouble. Its a great mouse and I am still using the battery they supplied with the packaging. I recharge once a week and I’m good to go. Very nice product from Microsoft. Best of all, it works under all major OS although some buttons might not work but the three main ones do – tested with XP, Fedora, Ubuntu and Gentoo.